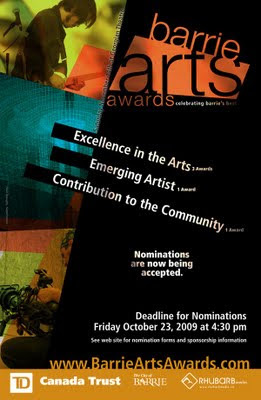 The 2009 Barrie Arts Awards is now accepting nominations and will be celebrating the winners on Saturday November 14th at the Georgian Theatre. 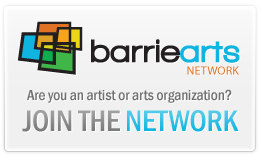 Visit the website www.barrie.ca (scroll to Arts & Culture Button) or www.barrieartsawards.ca to obtain more information on nomination and sponsorship opportunities. 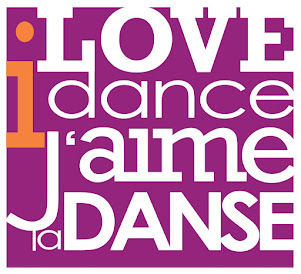 Nomination cutoff date is Friday, October 24th, 2009.